As you're no doubt aware, the State election will be held on March 23. If you're going to be away or are unable to visit a polling booth on that day, you can apply now for a postal vote application form. One has been posted to every home in my electorate but if you haven't received one (pictured below), you can pick one up at my electorate office or call 4959-3200. You can send the application back to the Reply Paid address. 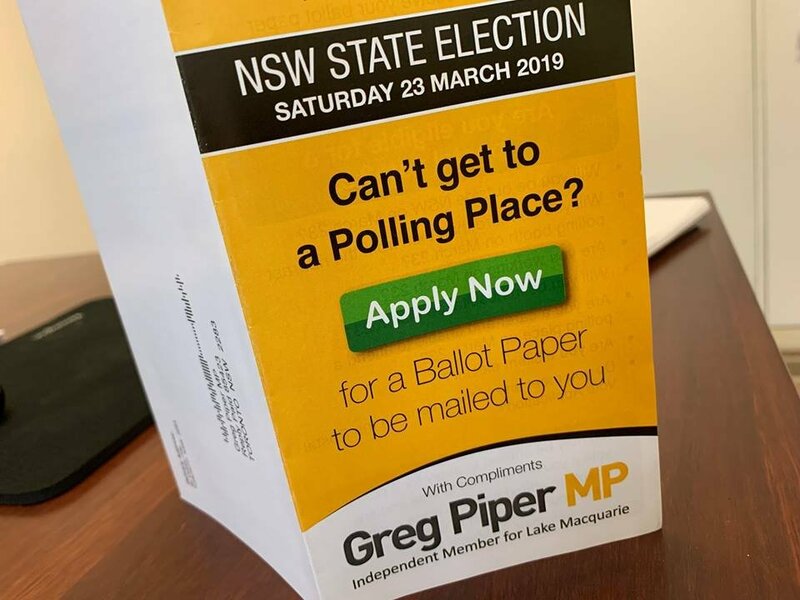 Once that's done, your ballot papers will be mailed to you by Elections NSW (not me!) in March. Better than risking a fine for not voting!